Road repairs are an on-going action all over the world. In some of our countries we may wish it were more proactive as we swerve to miss ever increasing pot holes. In other countries the paved roads, gardens and cities are causing problems with flooding as water has nowhere to go. As we draw to the end of 2011 and begin 2012 the news is flooded with economic, political and environmental disasters. Poverty increases. Yet we find our leaders preferring to continue on the same road, trying to avoid the deepening potholes, even creating some off-roading around obstacles. The direction however remains the same – a stubborn belief that “we” can solve all our problems if only we drive better, fill in the holes quicker, borrow money to build better roads, increase safety on the road. What is not challenged is the direction. Repairing or rebuilding the road will not help if are heading in the wrong direction. We need to turn around! We need a conversion. Whether we work in an aid or mission organisation, teach at a college, lead a local church or simply considering our own person lives, we need to ask the question: are we going in the right direction? This “conversion” or turn around is difficult because we may well have been captured by the traffic jam caused by our society’s drive for success, wealth, status and comfort. As Christian leaders we may feel unable to change the momentum or face the hard choices that are required in order to challenge the status quo so we fall back on old reform techniques of boosting morale, management formulae guaranteeing success, training programmes aimed at improving performance – but these costly solutions seem unable to make the breakthroughs we hoped for. Our success indicators so often aligned with numbers and income statistics. Do we Christians really stand out in the crowd? Do we really live our lives in such away as to demonstrated Kingdom values? I am personally convicted by this question because my answer is no not really. If you, like me long to live out your faith in a radical and real way then together we need to recognise that only a fundamental transformation in the way we think and live will work. We need a conversion! At the heart of conversion is repentance as we need to honestly face the truth of our conformity to the ways of this world. Conversion means turning around, going in a different direction, making a fresh start, letting go old fallen values and habits and setting our hearts on God. • Will you follow Jesus? • Will you and your organisation, church or college be the presence of Jesus in the world? Let us dare to consider honestly what this looks like today, repent where we know we have simply followed the road, turn around and go the way of the Kingdom. Let 2012 be a new beginning! Change and transformation will come about as we unite in prayer. 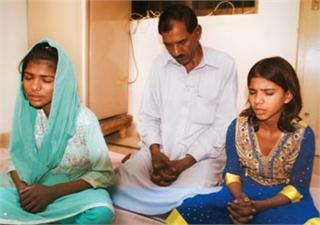 On the 8th November 2010, Asia Bibi was sentenced to death under the Blasphemy Laws in Pakistan. A “Call for Mercy” petition has been created to support the appeal for her release. Pray for Asia who is currently is prison awaiting the decision of court. Reports from December 2011 state that she is frail and in poor health. Pray too for her family (husband Ashiq and her two daughters Isha and Isham - see picture) who also fear for their lives and long to be re united with Asia. Do look up the petition at www.callformercy.com and consider signing the petition. January 2nd to 13th have been set aside as days of prayer for Zimbabwe. Elections are expected to be announced for the early part of this year. SU Zimbabwe have been through some tough times in 2011 and many staff were retrenched. Please pray for them as they seek new jobs. 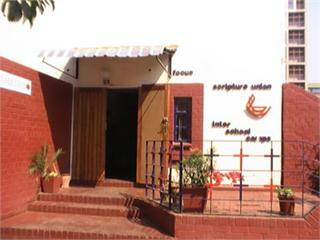 2012 is the Global Year of United Prayer for Mozambique. Many Christians in Mozambique have joined together to fast and pray throughout the month of January. Their heart cry is for God to forgive their sins and heal their land. Do join with members as they pray for a revival throughout Mozambique. 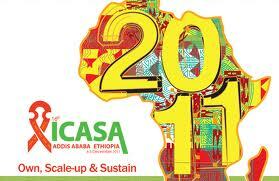 The global consultation takes place between the 10th to 14th September 2012. Please pray with us as we prepare the schedule, finalise the budget and logistics and confirm the speakers and facilitators. 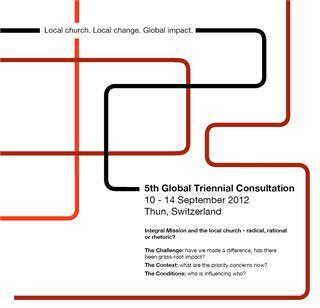 Pray for TearFund Switzerland as they have volunteered to host this consultation. Pray for their contact with the local churches within the country that this may be an opportunity for Christians to engage in integral mission discussions and action. Pray for finalisation of speakers and the programme schedule – that we would hear from God in how this week should be structured and who should be amongst those invited to speak. Please pray that God would be at the heart of all we do and prepare. Pray for the resources need to ensure the consultation is as accessible as possible for all those wanting to attend. This consultation is an important one for us as we decide together how to take Micah Network forward. Will you commit to pray regularly for this event. Thank you. Please do send through any thoughts, words of wisdom and suggestions.